John Callender was a young officer under George Washington in the Revolutionary War. He failed miserably during the Battle of Bunker Hill and was dismissed from the army for behaving as a coward. On his papers, Gen. Washington wrote this: "Cowardice a crime, of all others the most injurious, and the last to be forgiven." To his credit, Callender allowed his shame and embarrassment to move him to try to make up for what he had done and to redeem his good name. He didn't join the Redcoats. He didn't commit suicide. Instead, he re-enlisted as a private and behaved with such obvious courage at the Battle of Long Island that Washington revoked his earlier sentence and reinstated him as a captain. The story of John Callender has a lesson in it for all of us. Nobody goes through life without episodes of weakness, failure, and humiliation. Those with the courage to begin again are people to be respected. But he [God] gives all the more grace; therefore it says, 'God opposes the proud, but gives grace to the humble.'... Lament and mourn and weep. Let your laughter be turned into mourning and your joy into dejection. Humble yourselves before the Lord, and he will exalt you (James 4:6-10 NRSV). It isn't easy to be honest with oneself about failure and sin. In spite of the difficulty in starting again from scratch, there is even a way to learn from past failures and to achieve successes that might have been impossible otherwise. This time you know the things to avoid, the dangerous temptations that can turn you back from your goal, and the frailties within your own personality. Having failed and knowing what contributed to your failure, you can take steps that make success far more likely in the new effort. 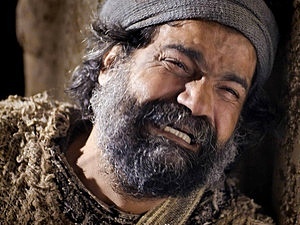 Few have ever failed Jesus more miserably than Peter. He was a chosen apostle, special friend to the Lord, and leader among his peers. He promised the Lord that he would be faithful even if all the others turned away. 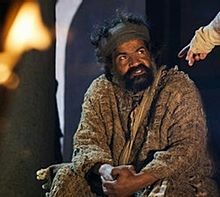 Yet, Peter fled when Jesus was arrested and denied him three times in the high priest's courtyard. 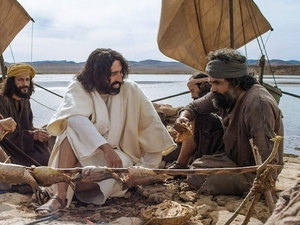 When Jesus later gave Peter the chance to begin again he took it and made the best of it (John 21:15-23). Look at your situation. If you are grieving failure, sin, and confusion, have the courage to throw yourself on God's mercy and to ask his help to begin again. All images courtesy of Free Bible Images. "How Cowards Become Heroes" by Rubel Shelly is licensed under a Creative Commons License. Heartlight encourages you to share this material with others in church bulletins, personal emails, and other non-commercial uses. Please see our Usage Guidelines for more information.